Tony Aiello, founder of the company, had a great love for aviation going back to his Piper Aztec and Navajo. Tony was a large general contractor in the DuPage County area, but he would always say that aviation was his passion. In the early 1970’s Tony built the first of several T-hangers on DuPage Airport. On weekends, one could go by and see Tony underneath his airplane washing the belly. He would say that his planes were his passion and this was cheaper than a psychiatrist bench. He went on to build three hangers known as the IMR hangars saving the end bay of building #2 for himself. Most of the tenants became friends and they would often jump in one plane or another for weekend lunch get away. Later he built the T-Hangar known as Hangar 17. This was unique in that it was a T-Hangar designed for Corporate Jets and Turbo-Props instead of the normal T-hangar built for Bonanzas & Pipers. Tony had an opportunity to buy an interest in a small FBO on DuPage Airport in the late 1970’s which he sold to the airport Authority in the mid-1980’s. Even though construction is how Tony made his living, he couldn’t stay away from aviation and soon started another FBO which went on to become what is now known as DuPage Aerospace Corporation. The 40,000 square foot hangar is currently located in what was the 5th building Tony Aiello built on the airport. Sadly, Tony passed away in March of 2011. The Aiello family reached out to John Bullock to take over Tony’s vision and passion for the company. Well respected in the aviation industry, John had been Tony’s partner in the original FBO in the 1970’s. Together, with the Aiello family, DuPage Aerospace remains dedicated to following Tony’s passion for aviation and presently focuses on aircraft charter and maintenance. We’re most well-known for our private jet charter flights originating from the Chicago area. Whether you’re flying across the country… vacationing in the Caribbean… doing business in South or Central America… or taking an international jaunt, we’ve got you covered. Our fleet, including Gulfstream G-IVSP, Gulfstream G200, Hawker 800A, Hawker 800XP, Falcon 20, Challenger 601, and Lear 35 jets, can comfortably fly anywhere from 8-12 passengers. But it’s our superior door-to-door and on board service that will keep you coming back. Our goal is to take your breath away before you even leave the tarmac, and then keep on delivering that WOW until your private jet can be seen in the rear view mirror. We believe that the smallest details define a truly outstanding flight experience, and that’s precisely what we focus on. 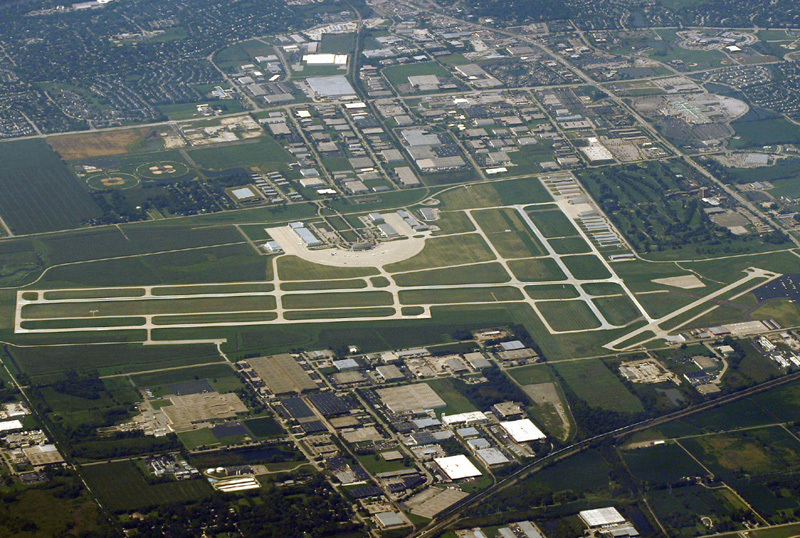 DuPage Airport is located 29 miles west of the downtown area of Chicago. The airport’s history dates back to 1927 when two Chicago entrepreneurs converted the sheep-grazing land to a grass strip as a base for barnstorming. In 1941, the U.S. Navy acquired the land, building two paved runways along with some brick hangars which officially became active in 1943. Howard Aircraft Corporation had a factory across the street from the airport. They built aircraft for the military and used the DuPage Airport to test fly their aircraft. After the war was over, the Navy sold the airport to DuPage County. In the 60’s the airport added an east/west runway in addition to a five-story control tower. By 1992, the airport grew to 2,800 acres with the goal of controlling the property surrounding the airport and to maintain a large buffer zone. Additionally they added two new North/South runways, the longest of which is 7,570 feet. Except for O’Hare, DuPage has the longest runways in the Chicago area. 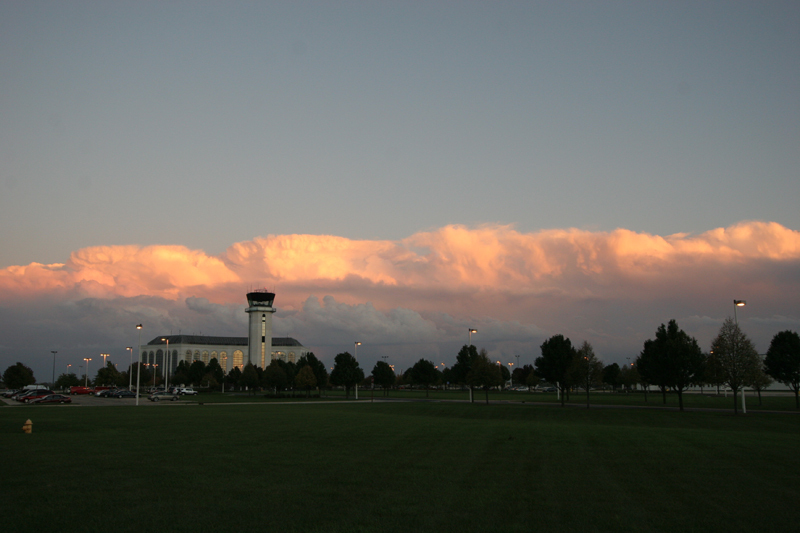 Currently the DuPage Airport is surrounding by communities in West Chicago, St. Charles, Geneva and Batavia. It offers a superior airfield, a Robert Trent Jones championship-style golf course and a high-technology business park, while also maintaining property dedicated to airfield activities and clear approaches to runways.